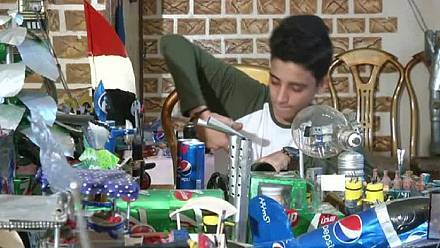 Egyptian teenager Ahmed Ibrahim lacked toys when he was a child, but with his creativity, talent and consciousness, he made hundreds of his own toys out of tin cans. 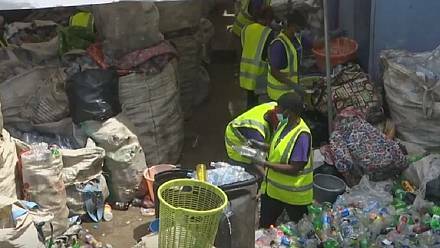 With an impressive collection of nearly 1,200 toys, 13-year-old Ibrahim started four years ago with a small tin airplane model. Using only cans, glue and scissors, Ibrahim created rolling vehicles, board games and even dolls.